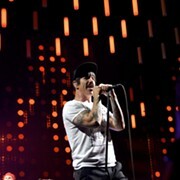 Here's what we're giving away, giving away, giving away now: tickets to the Red Hot Chili Peppers I'm With You event happening at 8 p.m. on Thursday, September 1. The band has a new album out today. On Thursday they're going to perform the entire album live, and the show will be beamed out as it happens to theaters around the country. We have five pairs of tickets to the screening at the Hudson Cinema 10 and one pair for the Cinemark in Sandusky. 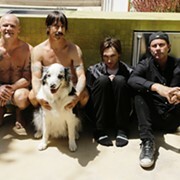 All you have to do is leave a comment with your favorite Chili Peppers song and which theater you want tickets for. The tickets go to the first six people who leave a comment. Be sure to leave your comment with a valid e-mail address. That's how we'll notify you if you won. Also, you have to come to our office in beautiful downtown Cleveland to claim your prize.